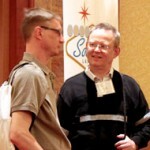 Köthen, Germany – May 6, 2014 – Georg Heeg’s seventh term as Executive Director of the Smalltalk Industry Council (STIC) was to expire on May 1, 2014. However, the owner of the software house, Georg Heeg eK, was nominated and re-elected to an eighth term on April 30, 2014. After doing extensive research, it’s been determined that there’s significant interest in a Smalltalk 30th Anniversary Reunion. 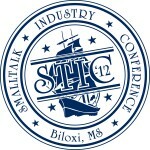 We’re happy to report that the Smalltalk Industry Council (STIC) has agreed upon a date and location for its annual conference in 2013. 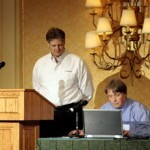 All STIC’12 Videos Featuring Cincom Smalltalk™ Speakers Are Now Live! 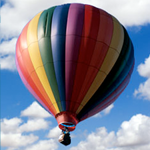 Posted on July 6, 2012 by Author Jeremy Jordan in Categories Smalltalk, STICLeave a comment on All STIC’12 Videos Featuring Cincom Smalltalk™ Speakers Are Now Live! The STIC conferences are always exceptional, and STIC’12, which was held at the Beau Rivage Resort and Casino in Biloxi,Mississippion March 19-21, was certainly no exception. Complete Collection of STIC’12 Videos Are Now Live! Posted on March 2, 2016 by Author Jeremy Jordan in Categories Events, Smalltalk, STICLeave a comment on Complete Collection of STIC’12 Videos Are Now Live! Although STIC’12 has come and gone, those who were not able to attend the exceptional conference, or those who would like to revisit some of the conference sessions, now have the opportunity since the complete collection of STIC’12 videos is now live. The voting is over, and the Smalltalk Industry Council board members are happy to report that Georg Heeg will continue on as the Executive Director of STIC. We’re happy to announce that you can now remember STIC’12 via the photo galleries that can be found on Facebook. 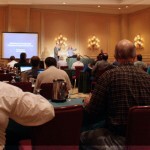 The conference was held at the Beau Rivage Resort and Casino in Biloxi,Mississippion March 19-21. The conference was filled with many informative sessions, and we’re happy to say that many of the presentations that truly stood out were given by our own Cincom Smalltalk speakers! 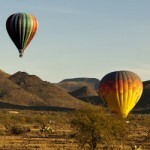 The Smalltalk Industry Conference Heads to Arizona in June 2013! 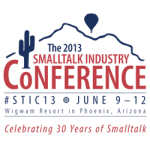 Posted on March 28, 2012 by Author Jeremy Jordan in Categories Smalltalk Industry Conference, STICTags STIC'131 Comment on The Smalltalk Industry Conference Heads to Arizona in June 2013!